Thank you for your interest in Philippi Baptist Church. We invite you and your family to join us for any of our weekly services. 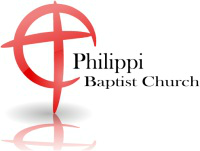 We, at Philippi, are confident if you walk through our doors, you will not leave without knowing that you are welcome. If you need more information, feel free to e-mail Pastor Seabolt at jhawkseabolt@bellsouth.net. We look forward to meeting you and your family.